Australians get through 384 Olympic sized swimming pools of coffee a year. Don’t believe us? Check out this nifty little counter. Australians love a good cup of coffee. The affordable luxury of a gourmet, barista-brewed latte has outstripped the more traditional cuppa – but the latter’s ongoing popularity means a selection of teas remains a wise menu inclusion. Australia, where the flat white was born (although one New Zealander barista disputes this), also has a vibrant cafe culture. The industry has been growing steadily for the past decade. According to research by IBISWorld, sector-wide revenue is growing annually by 4% – outstripping the overall Australian economy. And independent, small businesses, more so than chains, have been reaping the benefits. Chains like Gloria Jean’s, Hudsons Coffee and The Coffee Club only make up 5% of the market. So underwhelmed are Australians by chain-store blends that even the otherwise all-conquering Starbucks has found the going tough in the country. The world’s largest coffee chain opened 84 outlets in Australia in 2000 but ended up closing 61 only eight years later because of poor demand and $143 million losses. Find out how to buy a coffee shop. Chains can often leverage bulk-buying power to undercut independent shops on price – but this seems to matter less in the coffee shop market. It isn’t necessarily a strong selling point to sell coffee at super-low prices – and not just because margins might be tighter. "If I am selling a coffee for $4 and you sell one for $2, consumers might go, 'Well, why is that guy's [coffee] so cheap? I don't want to risk my tastebuds for a cheap coffee'," Wayne Fowler of the Cappuccino Price Index, which measures "pricing tension between real costs of producing the product and service, and the consumer's willingness to pay", told ABC News. Nevertheless, one might expect the relative importance of price versus quality to shift if economic conditions change. With Australia’s economy showing fragility after years of strong growth, running an outlet for an established coffee chain may not be such a bad career move. Is a coffee franchise right for me? A coffee franchise is not for you if you’ve designs on sourcing your own beans, experimenting with your menu and forging your own brand identity. But if a franchise restricts your entrepreneurial freedom, then it also reduces your financial risk since you’re buying into a recognised brand with a proven formula. A franchisor will also provide training and ongoing support, help with setting up premises and marketing campaigns with a bigger reach than an independent shop could ever afford. This interview with a coffee franchisee might help you decide if franchising is right for you. There is no shortage of options when it comes to choosing a coffee franchise. Cxpresso, which has 26 stores in Western Australia and Queensland, says it has major expansion plans. In its marketing collateral it spotlights low set-up costs and says lack of experience in the trade is no barrier to success. But some coffee franchises don’t even operate from fixed premises and are therefore cheaper alternatives. Franchisees with Xpresso Delight, for instance, service coffee machines in workplaces weekly and provide all consumables, from coffee to cappuccino sprinkles. Clients are charged $1.10 per coffee by this 1-3 day a week business with no employees, no ongoing sales, minimal stock holding and plenty of recurring custom. Xpresso Mobile Café also van-based, but dispense coffee and snacks in parks, at outdoor events and outside workplaces. To attract a loyal base of customers, you have must provide not only consistently good coffee, but a welcoming atmosphere and friendly staff. A survey by Nespresso found that 50% of Aussies say a bad coffee makes them feel angry, 17% are left feeling regretful, and for a coffee-mad 6% it completely ruins their day. There are no second chances, with almost one in two (47%) saying they would never return to a store that served them a substandard coffee. But coffee isn’t everything. Quality food goes hand in hand with a good brew and providing a delicious breakfast, lunch and pastries might be an effective way to gain an edge in this highly competitive market. Research from IBISWorld identifies effective cost control, operators with strong business expertise and access to a multi-skilled, flexible workforce as key factors for success in this sector. A clear position in the market: How will your coffee shop stand out from numerous local competitors? Vibrant atmosphere, comfortable seating, attractive decor and – most importantly – quality coffee. Coffee customers are fickle; how can you keep customers loyal? Effective cost controls. Keeping prices competitive while maintaining quality, paying enough to attract skilled baristas and affording a stylish interior decor are key challenges to overcome. Ready to grind some beans? 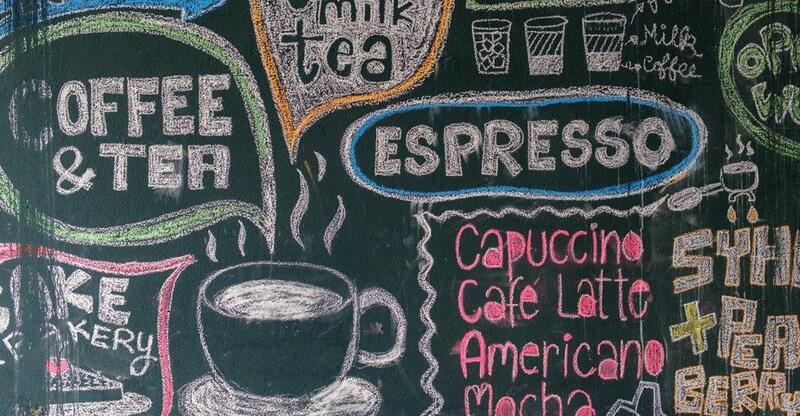 Browse our independent coffee shops for sale and coffee franchises for sale.